However, Jungr’s new release really sets out its stall via its subtitle: “Songs of Hope for Troubled Times.” “[T]his material is all about hope – and dreams – we need so much more of them now,” Jungr explains in the liner notes. As such, the looser, more relaxed and upbeat Shelter From the Storm is a rather different proposition to Hard Rain which combined “political and philosophical” songs by Dylan and Leonard Cohen to brilliantly intense effect. The contrasting attitude is evident in the albums’ art work aesthetics: where Hard Rain pictured a pensive, sultry-looking Jungr set against a stark black background, Shelter From the Storm’s cover (photographed by Steve Ullathorne) finds the singer radiant and beaming in a verdant garden, eyes aloft and clearly anticipating that something a whole lot more positive than a hard rain’s a-gonna fall. Recorded during a sweltering July at Sear Sound studio in New York, Shelter From the Storm is very much a transatlantic project, and finds Jungr teaming up with some exciting new collaborators. This time, she’s joined by the award-winning Laurence Hobgood on piano and keys, Michael Olatuja on double bass and Wilson Torres on percussion. The quartet form a strong and sympathetic unit, as they tackle material that encompasses work by Jungr’s cherished ’60s and ’70s singer-songwriter icons, a pair of musical theatre classics, and several superb new compositions, too. Each track is given its own highly distinctive identity, yet the album feels entirely cohesive, with Hobgood’s fresh, supple and sometimes boldly idiosyncratic arrangements often stretching the songs into delectable jazz jams. The vibe is spare yet textured; all the material, however familiar, feels new-minted; and there are fresh elements to notice with every play of the disc. The live arena is, of course, Jungr’s natural habit, the place where, in an intimate cabaret setting, all aspects of her artistry combine through masterful vocal delivery, distinctive gestures and expressions, story-telling, and audience interaction. However, while Jungr’s power as a performer may be strongly linked to the experience of seeing her live and “in motion”, Shelter From the Storm succeeds in doing justice to her multifaceted musicianship through vocals alone. That’s nowhere more apparent than on the title track itself, a version which plays with metre and tempo to thrilling effect in order to dynamically capture the shifting emotions and responses of the narrator. Jungr’s vocals move compellingly from stridency to delicacy, the urgent to the languorous, declaiming and cooing in perfect harmony with Hobgood’s protean piano playing. The versions of South Pacific’s “Bali Hai” (which opens the album) and of West Side Story’s “Something’s Coming” are both strong, and perfectly in keeping with the record's themes, but if Jungr’s excursions into musical theatre are a bit less revelatory for me, it’s perhaps because she’s so brilliant at refocusing others’ songs as stories that there’s a little less room for manoeuvre with compositions that already have built-in associations in the pre-existing narrative of a show. Jungr’s own compositions, developed in collaboration with Hobgood, are all gleaming gems, though. (I keep hoping that the amazing “Last Orders”, written with Simon Wallace, will turn up on an album sometime but she seems content to leave that as a treat for concert-attendees only.) The elegant “Stars Lazy But Shining” joins her brilliant “Beautiful Life” as a further celebration of nature’s joys and the pleasures derived from close attention to everyday experience. “Venus Rising” is even better, building from evocative, carefully chosen images to a jubilant finale. And “Hymn to Nina”, a further homage to Simone, is perfectly disarming in its open-hearted candour. 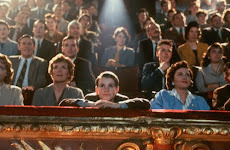 “I sing to a heroine of mine,” Jungr intones against Hobgood’s delicate piano. The simple scene-setting detail of “driving from Brighton, rain on my windscreen” beautifully grounds the tribute in the everyday, as Jung celebrates Simone for “bringing soul and song to everything,” and tenderly repeats her name as an incantation at the song's close. Through her passionate, sensitive and intelligent reinterpretations, Jungr continues to ensure that the work of many artists “lives on” in vibrant and re-energised ways. Building connections across material, making old songs new again, “bringing soul and song to everything,” Shelter From the Storm stands as further testament to Jungr's ever-evolving powers as a performer. Be sure to catch her and Hobgood when they tour the album in the UK in March and April, and in the US in May. 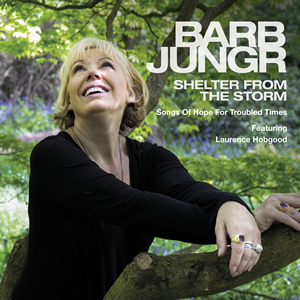 Shelter from the Storm is released on Linn Records on February 19th and can be ordered here. Tour dates here. Thanks for a great review. I love Barb and can't wait to hear this album. I've thought Barb was a unique talent since the Jungr and Parker days of the 80s and early 90s. She really deserves to be better known, selling more records and playing to bigger houses.